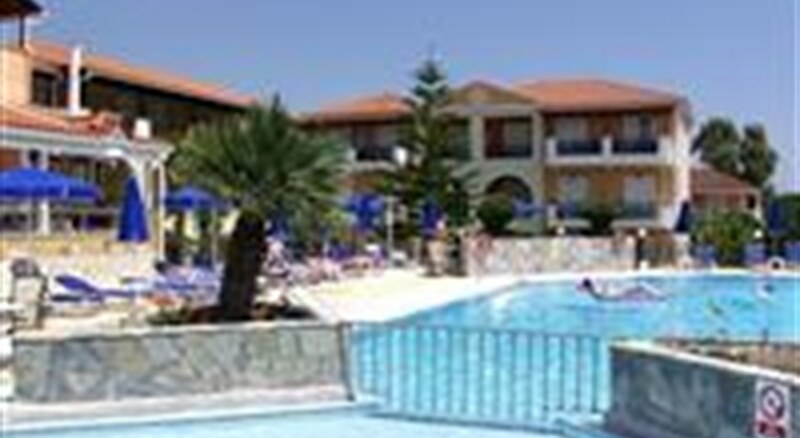 Denny''s Inn Hotel (B-Class) is a family run hotel which was built in 1991 and refurbished in 2007. The Managers, Spiros and Sigouros Vitsos pride themselves on the warm Zakynthian hospitaility which will touch you immediately upon your arrival – and although it is an ideal place for recreation, you will never feel bored there! It is located just 250 m. away from the beautiful sandy beach of Kalamaki, home of the “Caretta Caretta” Turtles and just a ten minute walk away is the main street of Kalamaki with a large variety of restaurants, bars and shops. It is ideally suitable for family vacations, owing to the excellent accommodation and the refined environment it offers. The most modern conveniences merge ideally with the romantic atmosphere of the area. Yes, it can be safely stated, that when at "Denny''s Inn", you''ll be treated like a king, enjoying unforgettable vacations! Denny's Inn Hotel (B-Class) is a family run hotel which was built in 1991 and refurbished in 2007. The Managers, Spiros and Sigouros Vitsos pride themselves on the warm Zakynthian hospitaility which will touch you immediately upon your arrival – and although it is an ideal place for recreation, you will never feel bored there! GuestroomsThe rooms at "Denny's Inn" have been decorated with care and finesse. The hotel has 67 rooms, with a maximum capacity of 170 persons.ConveniencesAll rooms have balconies, mountain, sea and pool view, telephone, hair dryer, safe box, air conditioning, TV and refrigerator.FacilitiesApart from the comfortable rooms, "Denny's Inn" is equipped to provide an unforgettable stay:InteriorReceptionA big, air-conditioned lounge with TV, music and a libraryRecreation roomBarLaunderetteInternet connectionAll major credit cards acceptedPostal serviceNurse and physicianArrangements for horse riding and divingExteriorSwimming pool and chidren's swimming pool with free sun-beds and umbrellas for our guestsRestaurant and snack bar by the poolPing-pong tableChildren's playgroundFree parking"Denny's Inn" Restaurant / Snack Bar is famous for the excellent service and its exquisite delicacies of the Mediterranean and international cuisine. It also serves light meals, juices refreshments, coffee and ice-cream.Our bar will offer you a great evening. Listening to the right music while enjoying your favourite drink.Our guests may also enjoy the weekly entertainment programme.